Vented panels feature a full-width perforated design that maximizes visual appeal while providing essential attic ventilation. Protects against damage to roofing structure. Provides excellent airflow while keeping out insects and rodents. 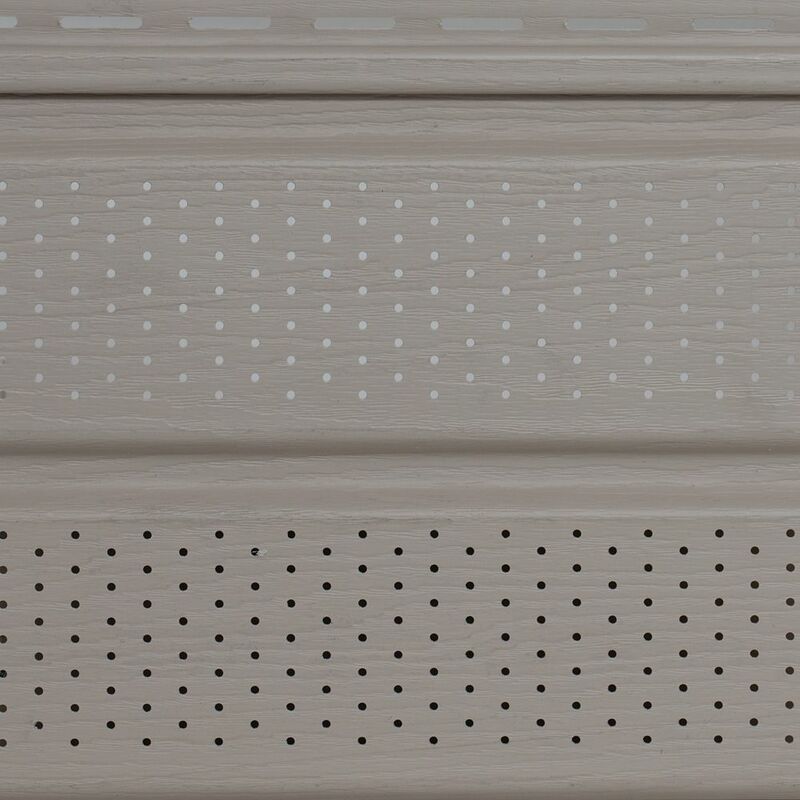 D5 Vented Woodgrain Soffit Sandstone (20/BOX) The 10 inch Perforated Woodgrain Double 5 inch Soffit gives your home a finished look and virtually eliminates maintenance in those hard-to-reach areas, like under the eaves and over porches.